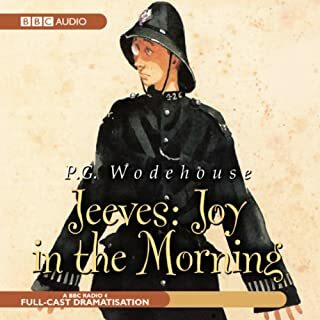 Joy in the Morning is a wonderful story, one of my favourites in the Wodehouse canon. But while this dramatization is amusing in spots and the performances are enjoyable enough, the adaptation is disappointing. I don't know if the BBC original was a serial, but there are multiple &quot;chapters&quot; that begin with repetitive exposition of what's already happened. This was pretty disappointing. Wodehouse is meant to be read, not played. And that's why recommend you check out Jonathan Cecil's reading of the book instead of this abridged adaptation. 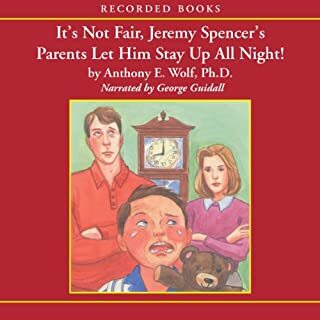 Noted clinical psychologist and best-selling author Anthony E. Wolf, Ph.D. digs into the mysteries of raising children aged three to preteen in this insightful and humorous audiobook. It’s Not Fair, … focuses on parenting’s most difficult challenges: setting limits and making demands. Filled with witty anecdotes and slices of life that entertain as well as teach, this book explores the causes and cures for various childhood behaviors. Dr. Wolf gently explains the solutions to problems ranging from annoying nuisances like whining to the potentially life-shattering consequences of early childhood trauma. I don't have kids but I got a lot from this! I love this book, and I would recommend it to any parent who wants help with how to impose discipline on their children without anger. There is no question that I feel like a better parent when I employ the principles from this book. But I wanted to write a review primarily to give George Guidall props for a fantastic reading. This material is tough, because there are many sample dialogues between kids and parents, and Guidall manages to perform these and make them believable without being cartoonish or silly. I think it must be hard for an adult to read text like &quot;I want my doggy shirt!&quot; in a way that would remind you of a child tantrum without making you want to turn it off immediately. And Guidall makes all these dialogues seem very genuine. This book is terrible. Put charitably, it's inspired by The Exorcist. Put less charitably, it's a blatant ripoff with a ridiculous veneer of "this is a true story" splashed on top. I could forgive the sin of unoriginality if the execution were good, but worse: it's boring! A total snoozefest! It was a tough slog to get to the end, but I figured there must be some payoff for the reader. Learn from my fail: there isn't. Spare yourself this lemon and just read The Exorcist instead. 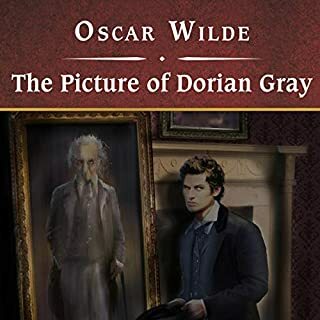 The Picture of Dorian Gray is a stunningly beautiful book, among my very favourites. 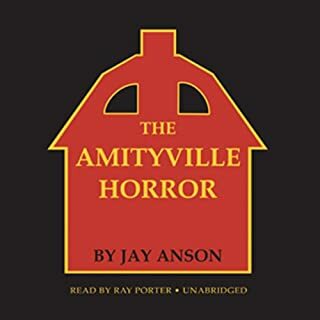 I had not read it for many years when I stumbled upon this performance of it, and it has instantly rocketed to the top of the "Top 10" list in my Audible library. This cautionary, "be careful what you wish for" tale contains many of Oscar Wilde's most celebrated lines, including my personal favourite, "There is only one thing in life worse than being talked about, and that is not being talked about." Beautiful-but-outrageous dialogue like this brings a lightness and some comedy to this otherwise sad story. I'm not sure if I've ever given 5 stars across the board before, but this performance of this wonderful book is surely deserving of it. I can't recommend it highly enough. Prebble gives a near-perfect performance. Each character has a distinctive voice, but the distinctions are subtle and totally believable, unlike some narrators who I think go overboard. His "Basil Hallwood" in particular is beautifully human; every ounce of the characters kindness, and his love for Dorian, comes shining through. An epic historical masterpiece. This is one of the best works of non-fiction I've ever read. Gardner's performance is pretty close to perfect in its tone and cadence. He is understated and very matter of fact, but does a fantastic job of mirroring the author's own tone. What was most disappointing about Paul Collins’s story? 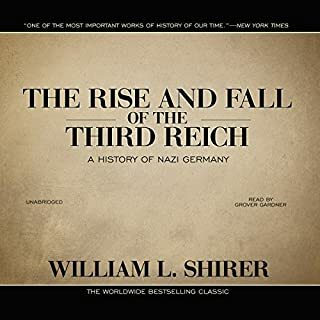 This was a fascinating story, but sadly presented in an 8-hour audiobook when a piece in the Atlantic or even a longish Wikipedia article would have more than sufficed. 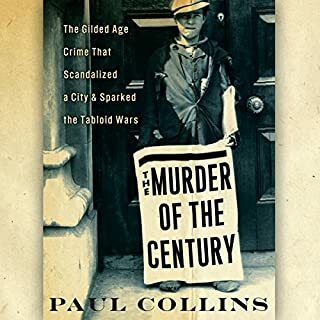 Collins draws it out exhaustively, putting in unneeded details for atmosphere and devoting entire chapters to twists and turns in the investigation that he inflates to grand importance when they turn out to have no impact. I felt like he super-sized my book when I ordered a small. Dufris' narration reminds me of a friend of mine who thinks he does a really great Jerry Seinfeld impression. In fact, it's terrible, but he thinks it's so good that he presents it with great earnestness, like a high schooler playing Hamlet. Dufris has exactly one accent, which is pretty much what an American would think a German spoke like if his only exposure to Germans was watching Hogan's Heroes as a kid, and all "foreign" characters in the book are treated to this terrible accent. The defense attorney character was presented in such a ridiculous cartoonish booming voice that all I could do was laugh, because it reminded me, more than anything else, of Sir Topham Hatt from the Thomas The Tank Engine shows that my 4 year old likes to watch. 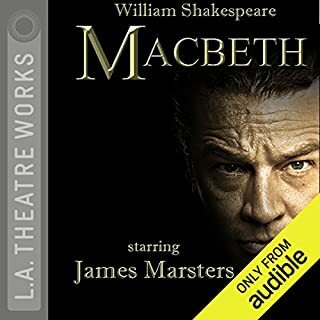 I bought this after listening to Gielgud's Hamlet, as it was among the highest ranked Shakespeare dramatizations. But ... wow ... it's a truly awful performance by all save Lady MacBeth, who stands out and tries valiantly to carry the cast around her. I honestly thought back to high school, when our poor English teachers had to listen to 25 pasty kids reading beautiful soliloquies in an uninterested monotone. In places, the voices are so similar and droning that it's difficult to tell the characters apart.